WINNIPEG – The real estate market is either very, very good … or really, really suspect … depending on which headlines you choose to read. It’s difficult to decide what’s really happening from the sound bites, but the numbers on the resale market for the first 4 months of the year paint a fairly rosy picture. Statistics for the first third of the year are up from comparable numbers last year, and last year recorded the 4th best resale numbers in the past 20 years and the best dollar volume ever through the Multiple Listing Service®. 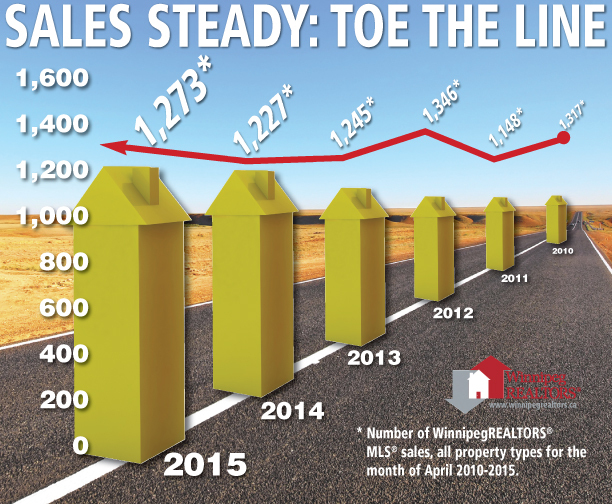 The April MLS® listing inventory, the number of properties available for sale in Winnipeg, rose almost 36%. So buyers had more properties to choose from than last April (5,232), which indicates more balance in the marketplace. Listings entered into the MLS® system were also up 23% over last April, with the addition of 2,837 properties this year. Sales followed suit. The number of sales processed in the month was up close to 4% from last April, with 1,273 sales recorded. And dollar volume was up 8.8% at $362.3 million. The April numbers helped maintain positive year-to-date market stats. 8,336 listings have been entered on the MLS® system since January 1st – up 25% from last year – and 3,538 sales have been recorded – up 4% from the same period in 2014. The January through April dollar volume is up 6.5% at $962.4 million. He went on to say that in April, 22% of residential detached homes sold for more that list price, 8.5% sold at list, while 69% sold below list. 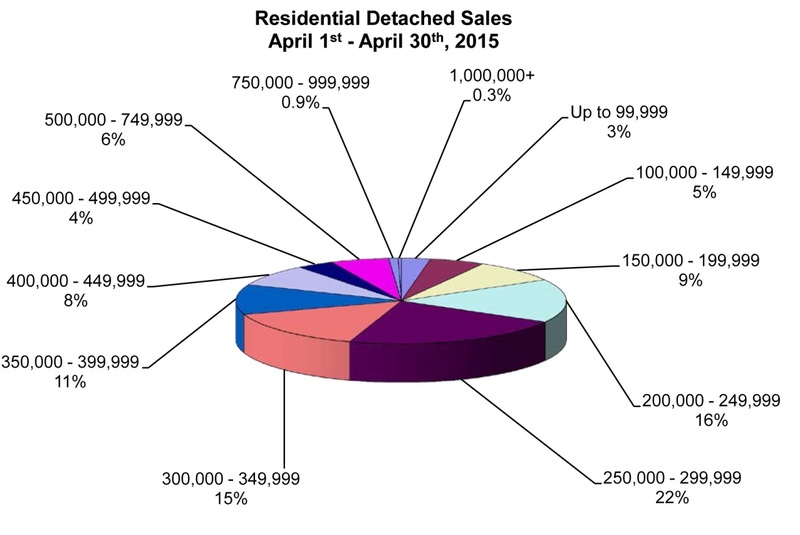 For condominiums, almost 11% sold above list … 18% sold at list … and 71% sold below list. The most active price range in April for residential detached homes was $250,000 – $299,999 (22% of sales), followed by the $200,000 – $249,999 range (16%). Average days on the market was 27, compared to 26 last April. The highest priced residential detached sale fetched $1,590,000 and the least expensive sale was $8,000.